Don't let the weather dictate your fishing days. 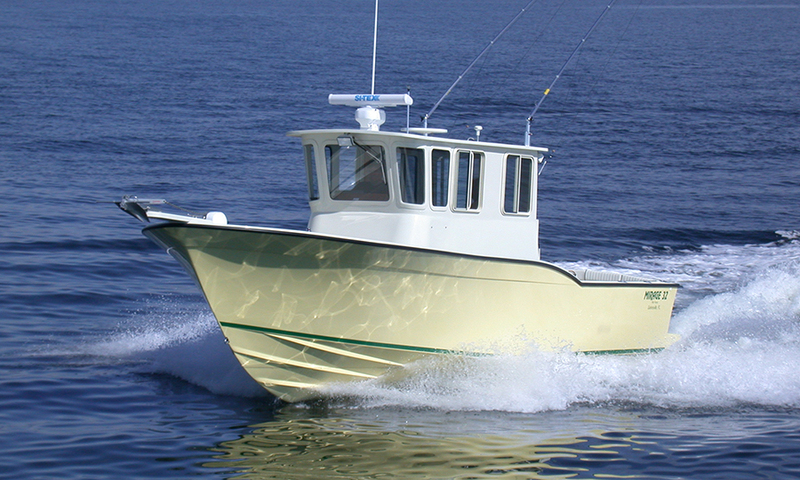 The walkaround Pilot House allows you to enjoy the comforts of a cabin without sacrificing 360-degree fishability, and it delivers the same performance, ride and fuel efficiency that have made this model legendary. Like other Mirage 32s, the Pilot House includes belowdecks accommodations for four in a forward v-berth and twin quarterberths. It also features a stand-up shower and head. The upper cabin house includes a compact galley with sink, refrigerator, microwave oven, built-in cutting board, storage bench and folding helm seat. 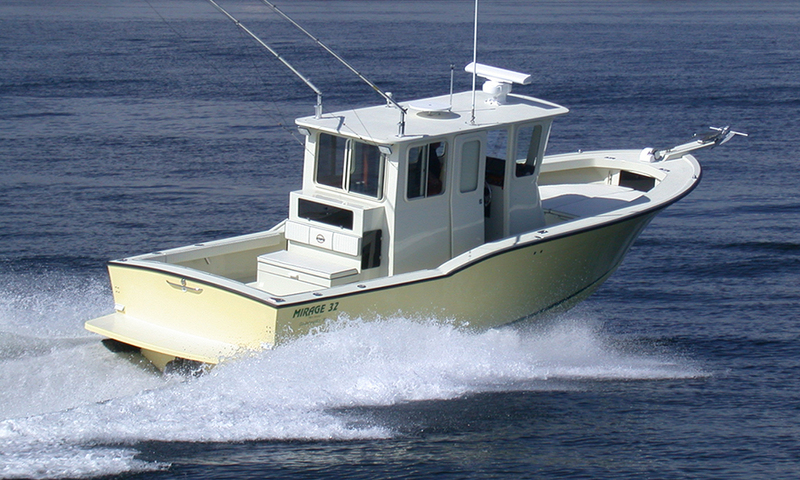 The deck house design leaves ample room on the side decks for anglers to work, and the spacious aft cockpit can accommodate a live well, tackle center and crew seating. When powered by a single fuel-efficient Volvo Penta D6 power plant mated to a counter-rotating Volvo outdrive, this boat will cruise at 35 mph at 3.5 mpg. Integral tankage for 230 gallons of fuel give her a range of more than 700 miles. Outboard options are also available.